UCCS students heard from experts and leaders from the FBI, intelligence agencies, cryptocurrency, business and law during the Third Cybersecurity Boot Camp April 13-14 at the Upper Lodge. Deloitte, a multinational firm with work in managing cyber risk for companies, sponsored the registration costs for 21 students. 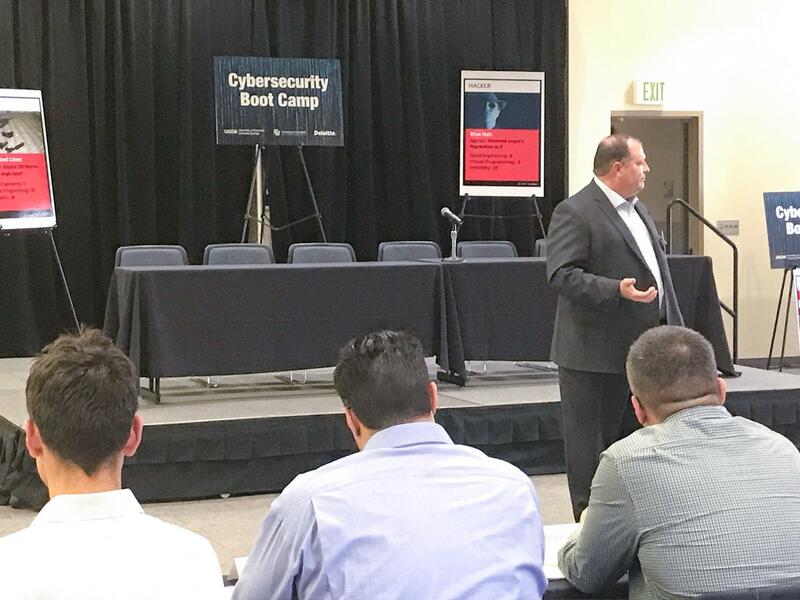 The two-day workshop allowed students interested in cybersecurity issues to learn about threat analysis, management, continuity of operations, marketing, human resources and emergency services for business and government operations. The sessions focused on critical thinking and analysis to address the broad challenges that exist in cybersecurity. UCCS is designing a Cybersecurity Workforce Development Center that will allow a controlled environment to teach the cybersecurity workforce of the future and to facilitate research to protect personal and public assets.